Football season is finally upon us! And I couldn't be more excited about it if I tried. There is something about football season that instantly puts me in a good mood. Maybe it's because the start of football season means that cooler days are ahead of us, or maybe it's the weekends spent tailgating with friends that makes me so giddy. Or maybe it's the pride I have in Alabama football and the love I have for Nick Saban. Either way, I'm over the moon excited about the start of college football season this weekend. Yesterday I was looking back on old pictures of past football seasons, and I was reminded of how many fond memories I have from those glorious fall Saturdays. 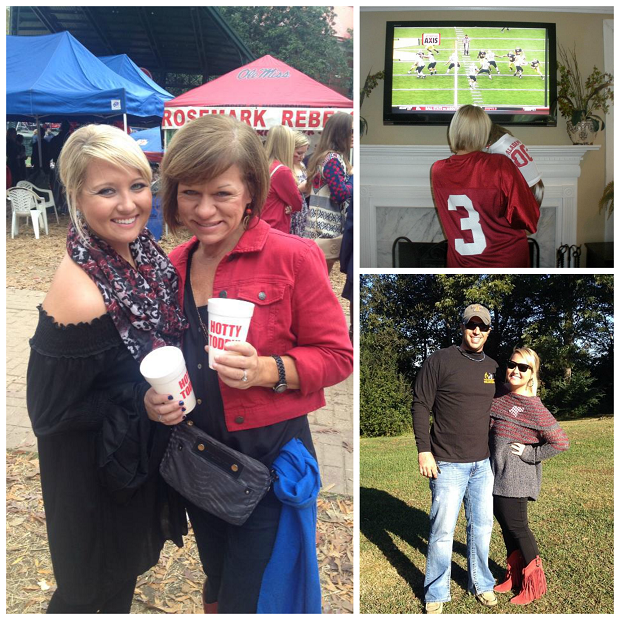 From my college days at Alabama to road tripping with my husband to different campuses, football season holds so many exciting memories. The husband and I already have a jammed pack fall, and it's not even Labor Day yet. Most weekends we will be on the road to Tuscaloosa or Oxford. We've even talked about heading up to Knoxville to watch Alabama destroy Steven's beloved Tennessee Vols. Wherever the season takes us, I know it's going to be a good one. 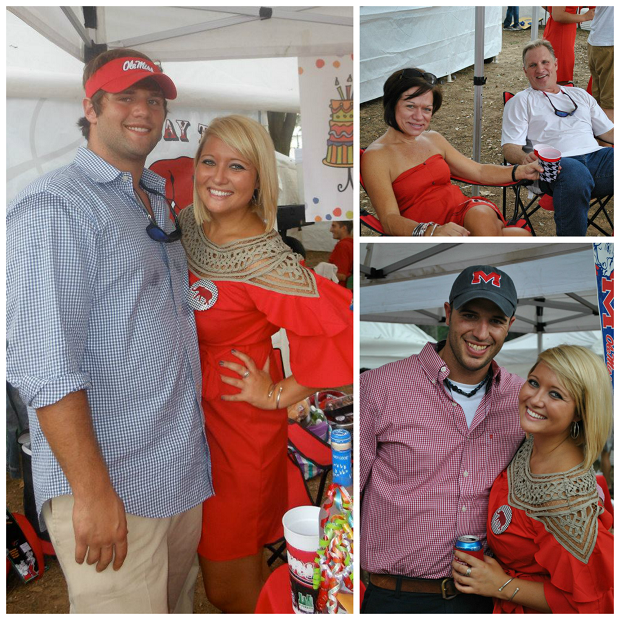 Here's to many weekends tailgating on the quad, on the grove, and even at the lake. 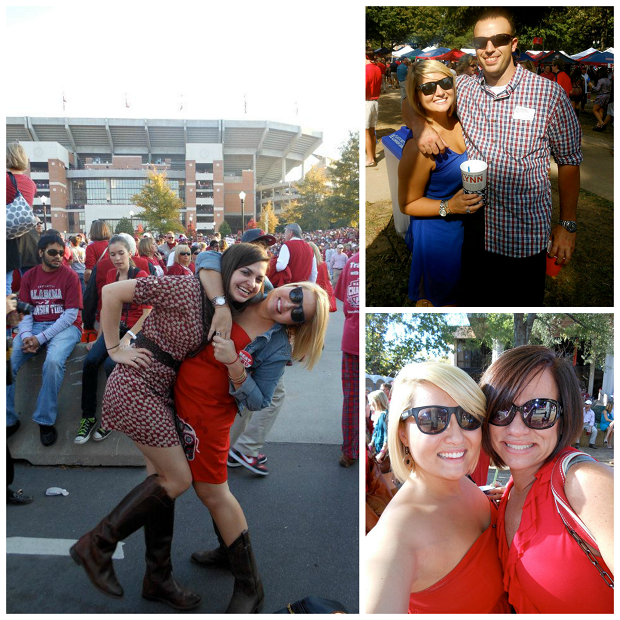 Here's to Saturdays spent yelling at the tv and cheering on the Tide. Here's to the road to 16. You know what I'll be doing this weekend. Woo!! Love seeing someone else with a love for football like I have! Although, I am more of a NFL fan, Chicago Bears to be exact. 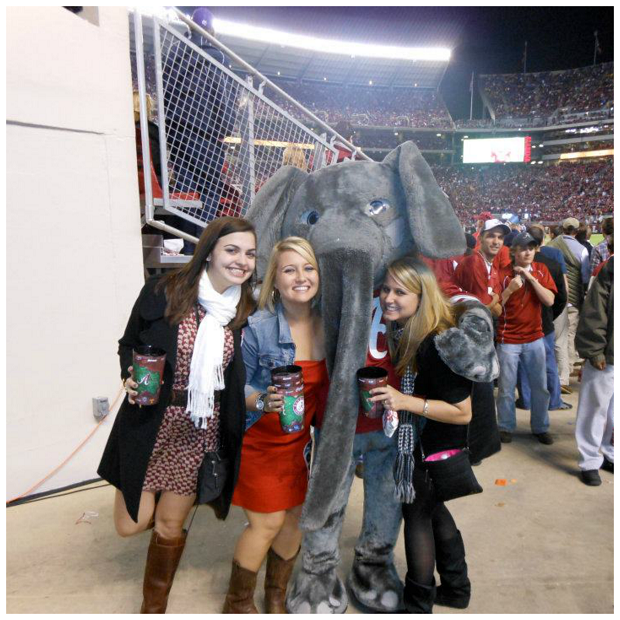 I have always been jealous of 'college fans' though, you always seem to have so darn much fun! Yay football is here!!!! It is finally here!!!! I'm heading to Atlanta this afternoon... as a Mountaineer fan though!!! It is like a national holiday around my town right now (Greenville, NC) as we prepare for ECU's first home football game of the season tomorrow! So happy that college football is back! 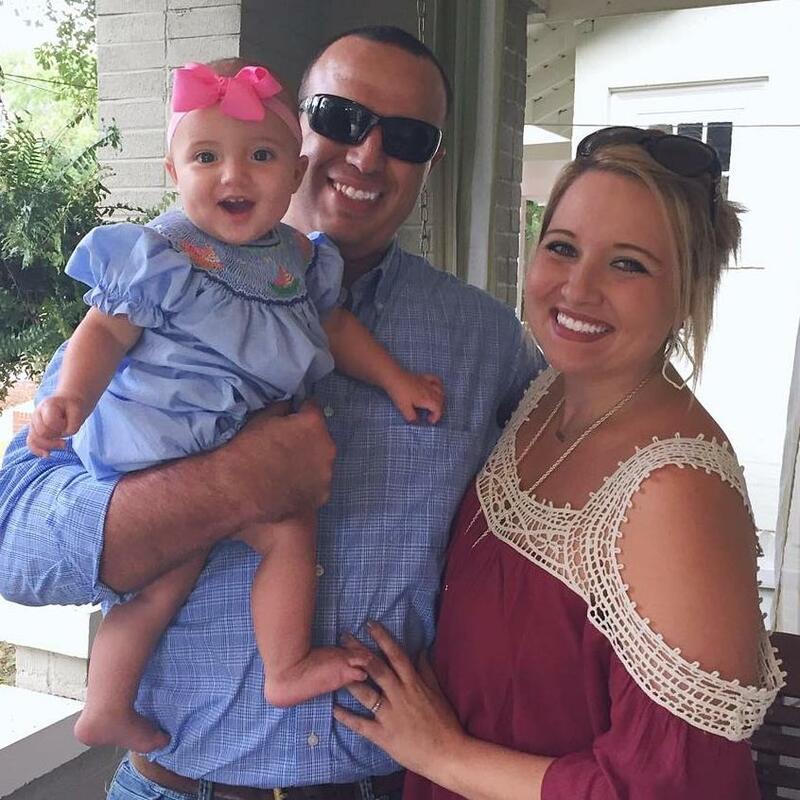 Did someone in your family go to Ole Miss? My best friend went there and the Grove is AMAZING! I love it! P.S. I love your short hair! Happy football! You look amazing in all those pics!! It's a fantastic place! I attended an amazing event here, loved the ambience and the staff was super friendly. We faced absolutely NO problems with anything. We also have a jam packed fall! It's my favorite time of the year! I am so excited it is football season again! I just wish the weather would cool off some! RTR!